You are here: Home / News / Sellout Blacks, Thanks CNN!! (ThyBlackMan.com) Contrary to what CNN talker Don Lemon’s panelists might say, the political evolution of Kanye West is what happens to Negroes when we begin reading real American history and stop relying on the revisionist history taught by Democrats on major college campuses for the last several decades. The truth is, the Republican Party played a pivotal role in securing the blessings of liberty for African-Americans, both during Reconstruction and the Civil Rights era, but you’d never know that by watching most major news sources today. If blacks are going to perpetually pledge their allegiance to the Democratic Party solely based upon the belief that the Democratic Party “cares” for them, then they should be aware of the facts. If you believe as I do that actions speak louder than words, you’d be hard-pressed to believe Democratic leadership cares for blacks based upon their policies. Whereas, the GOP has a long history of illustrating their compassion for blacks through legislation. For instance, under the leadership of the first Republican president, Abraham Lincoln, the Emancipation Proclamation was signed into law to abolish slavery in the United States. However, there were still pockets of slavery that existed within the Union. Therefore, the Republicans introduced and passed the 13th Amendment, which made it emphatically clear that neither slavery nor involuntary servitude would be allowed to exist within the United States or any place under its jurisdiction. Subsequently, the Republican-led Congress passed the 14th Amendment, granting freed slaves U.S. citizenship. Afterward they passed the 15th Amendment, recognizing former slaves’ right to vote. In 1866 they passed the first Civil Rights Act to protect the rights of freed slaves. In 1871 they passed the Anti-KKK Act to abolish the Ku Klux Klan. By the way, all of the black congressman elected during Reconstruction were Republicans. Did you learn about any of them in American history? Fast forward to 1957, President Dwight D. Eisenhower created a Commission on Civil Rights, and in 1960 he sent federal inspectors to the voter registration polls. In 1964, Democratic president Lyndon B. Johnson relied on the Republican vote in Congress to pass the Civil Rights Act of 1964, an anti-discrimination law. It took Republican President Richard Nixon to enforce Affirmative Action via the 1969 Philadelphia Plan, which was crafted by black Republican Art Fletcher. I wonder if Democrats would call him a sellout? Furthermore, it was Republican President Ronald Reagan that made Dr. Martin Luther King Jr’s birthday a national holiday, and it was Republican President George W. Bush who appointed more blacks to high-level positions in the federal government than any of his predecessors. Not to mention, as recently as 2011, it was the Republican Congress that voted to fund the D.C. school voucher program, which enables poor minorities to attend the best private schools in the area, after President Obama and Harry Reid stripped the funding away to satisfy their union donors. 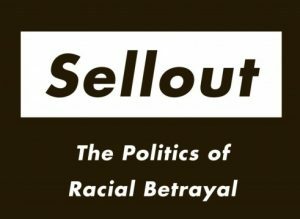 Is it any wonder the Democratic Party invented the “Big Switch” lie, that claims the Republican Party magically switched into the party of institutional racism under Richard Nixon’s so-called “Southern strategy,” when the truth is only two out of 150 Dixiecrats defected to the Republican Party? To be clear, I’m not suggesting that blacks become a monolithic vote for the Republican Party as they’ve become for the Democratic Party. However, given the GOP’s track record on civil rights, blacks have reason for pause before quickly dismissing Republicans and calling black conservatives or free-thinkers like Kanye West sellouts. Another reason for blacks to reconsider their allegiance to the Democratic Party is due to its embrace of Marxism, which is an anti-God philosophy. The black community, by in large, are God-fearing people. Karl Marx believed that “man is the highest being for man.” In other words, man is God. Many of the policies embraced by the modern Democratic Party put government above God, the rule of man before the rule of law, emotion before reason. Consider how the “War on Poverty” destroyed the black family by replacing dads in the home with government crack – a welfare check. In black America today, welfare is normative; intact families are not. You can’t even mention that a child is better off growing up in a traditional family home without being verbally attacked by leftists. Ask yourself: Is it more compassionate to intentionally keep people on welfare, or equip people with the tools that will allow them to become self-reliant so they can leave an inheritance to their children’s children? Kanye West isn’t a threat to black liberals, though they may be personally insulted by his newfound beliefs. He’s a threat to white progressives like George Soros and Michael Bloomberg who understand that they must keep the masses dependent on government to gain and maintain power. Republicans were instrumental in using the law to greatly diminish the effects of racism in America so that everyone, regardless of race, could reach their God-given potential. But, legislation alone can’t change a man’s heart. That part is up to God, and unfortunately, the modern Democratic Party wants nothing to do with Him. As long as that’s the case, we can expect racism to be an unresolved issue in American politics for generations to come, and I’m convinced Democrats are OK with that. Kanye needs attention because he is only important to his young music fans but nobody else. Kanye is a mental health issue. As a marriage, family and relationship counselor, trained in psychology, sociology and theology, I can say Kanye is lost. His reasoning is shaky and his communication is just as bad. Many of us who know history and who have not been indoctrinated still do not come across like this little boy.